This easy collard greens recipe is simple to make, requiring only a small amount of fat along with chicken broth and a touch of seasoning. Collard greens, or “collards,” make getting your veggies easy. 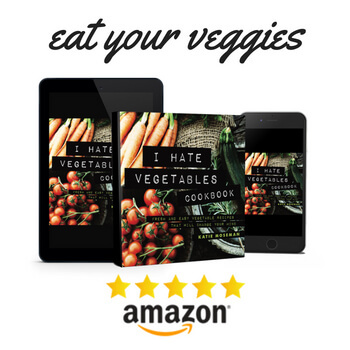 Cook up a mess o’ greens, as they say, and you’ll be all set for a hearty, savory side dish packed with nutrition. 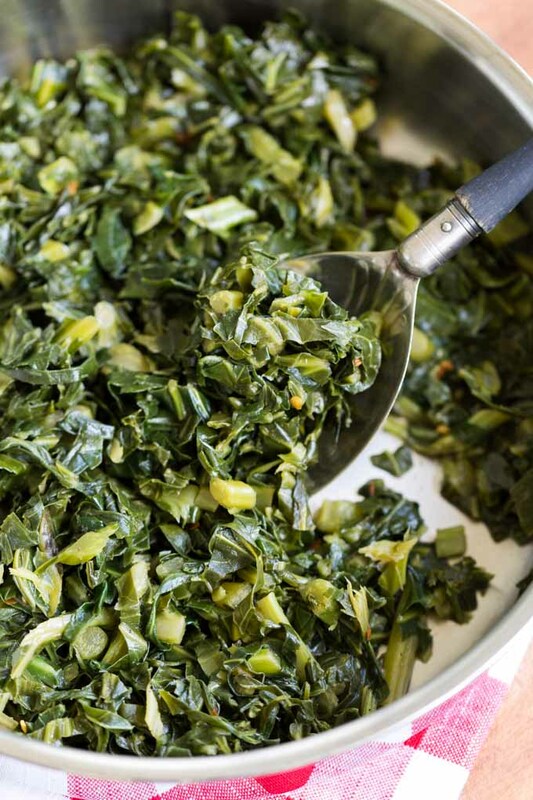 There are as many recipes for collard greens as there are shells on Sanibel Island. For flavoring, I use chicken broth and seasoned salt plus a little brown sugar to take the bitter edge off the greens. Red pepper flakes are an optional ingredient to add heat. For fat, I used Armour Premium All-Natural Lard. 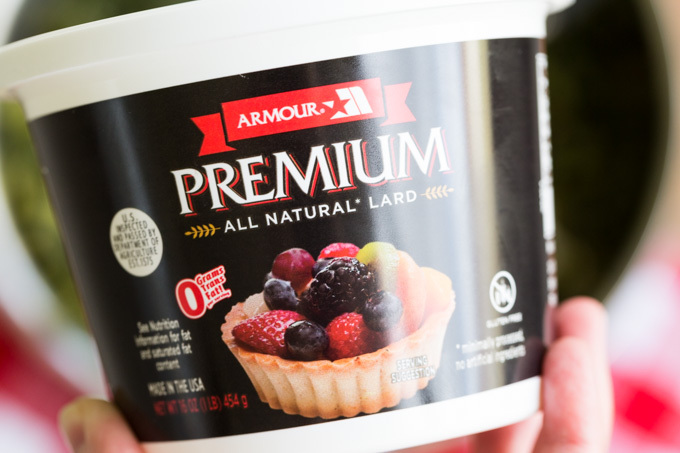 I found Armour Premium All-Natural Lard in the baking aisle at my local Walmart. 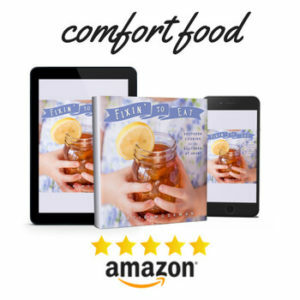 It’s one of the healthiest cooking fats, with less saturated fat than butter and no trans fats. 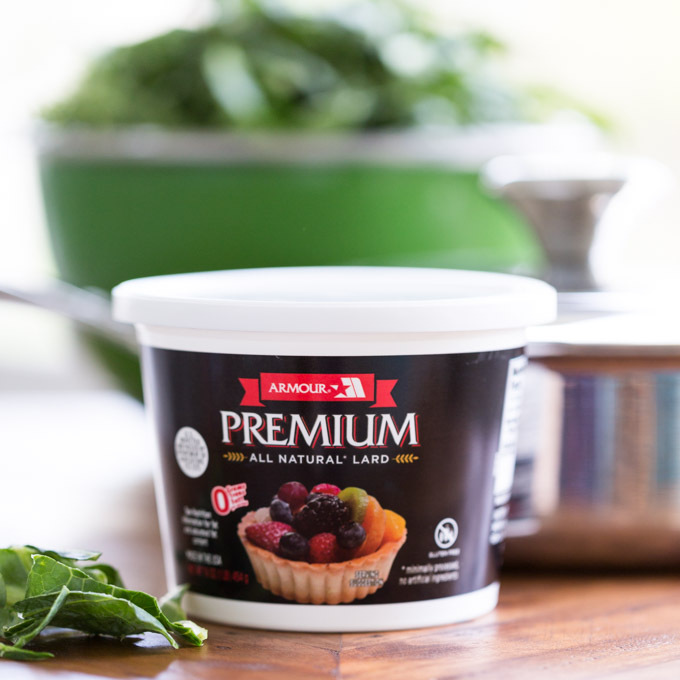 Plus, the heart-healthy monounsaturated fats in Armour Premium All-Natural Lard are said to lower LDL cholesterol. The surprising thing about lard is that it’s remarkable versatile. 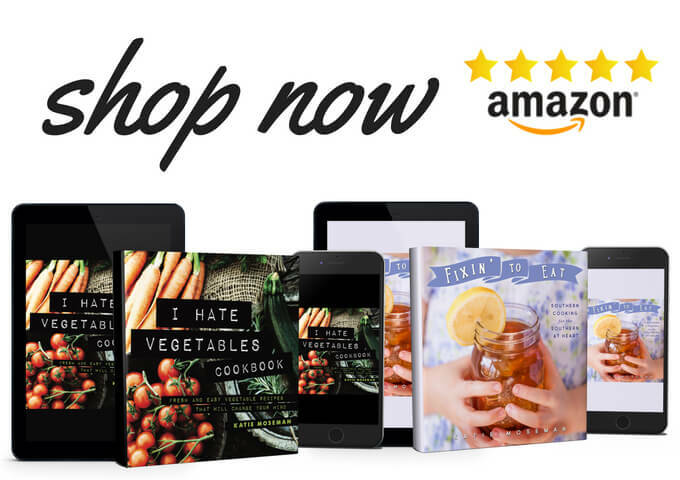 You can use it for baking, frying, sautéing, roasting, and more. It’s easy to use and has a high smoke point suitable for high temperature cooking. My favorite thing about it is how nicely it melts in the pan, making it easy to use a small amount and still coat the entire cooking surface. That’s how I use it in this collard greens recipe. Remember, if you add salt early in the cooking process, it can toughen up the greens. Follow the recipe directions to add your favorite seasoned salt at the end of the cooking process. Serve collard greens with traditional garnishes such as hot sauce or vinegar. You can pair collard greens with any favorite comfort food a complete meal. 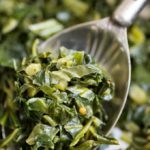 This easy collard greens recipe is simple to make, requiring only a small amount of fat along with chicken broth and touch of seasoning. Melt the lard in a large pot (such as a Dutch oven) over medium heat. Add the collard greens and crushed red pepper flakes (if using). Stir vigorously to coat the greens evenly. They will fry slightly and begin to wilt. Add the broth and continue stirring to coat the greens. Cover the pot and reduce heat to low, just hot enough to keep the liquid bubbling gently. Simmer for 30 to 60 minutes, stirring occasionally. Add two tablespoons of water as needed to prevent the pot from simmering dry. 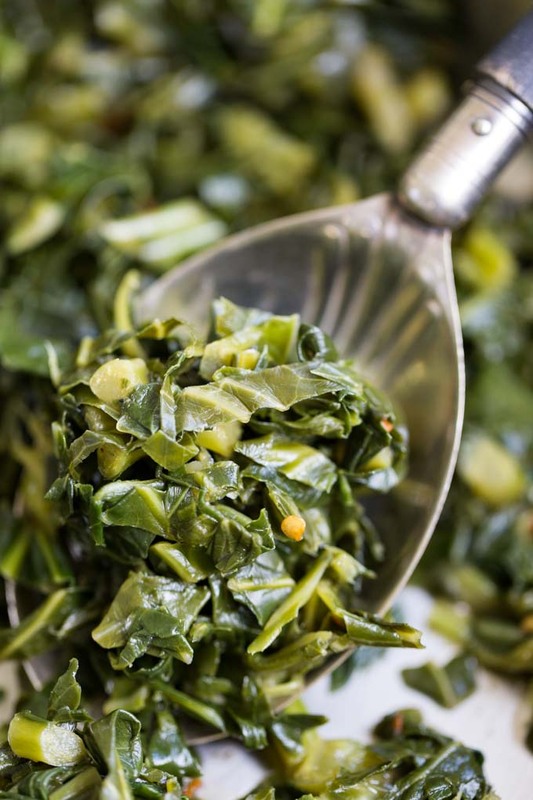 You can stop cooking the collard greens at your preferred doneness; if you like more chewiness, cook them for about 30 minutes; if you like softness, keep cooking them for 60 minutes (or longer, if desired). Older, tougher greens take longer to cook. When the collard greens are done, remove from heat. Evenly sprinkle on the seasoning salt and the brown sugar, then stir vigorously. Taste and adjust seasonings as needed, adding more salt to taste. 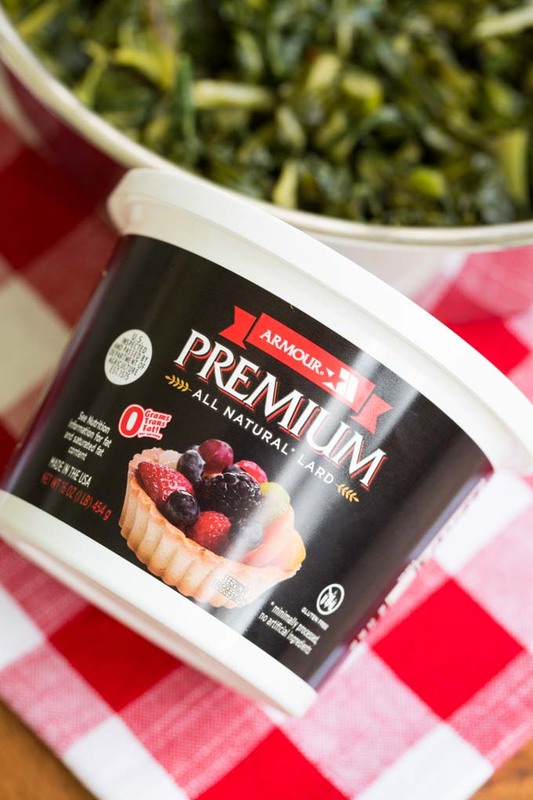 Look for Armour Premium All-Natural Lard at your local Walmart.